At SupplySide West, WACKER will present two products that are ideal for sports nutrition supplements. The first is a coenzyme Q10 complex, which WACKER supplies under the new trade name CAVAQ10®. The second product to be presented by WACKER is CAVACURMIN®, which contains curcumin, a plant-based antioxidant. Several published human clinical trials have confirmed the benefits of coenzyme Q10 and curcumin on both general performance and muscular endurance and regeneration. As both substances are sparingly soluble in water and thus difficult for the human body to absorb, WACKER’s approach is to convert them into cyclodextrin complexes. This boosts their bioavailability significantly and affords a way to incorporate them into various products aimed at athletes. SupplySide West 2018 takes place in Las Vegas from November 6 to 10. Health and fitness are very much on trend at the moment, as growing numbers of people around the world adopt a healthier lifestyle and turn increasingly to sports. According to experts, memberships of health and fitness clubs, especially in North America, are rising and spurring demand for sports nutrition in the form of energy bars, energy drinks and dietary supplements. A study by GlobalData shows that the global sports nutrition market, which North America dominates with a 38-percent share, was already worth nearly $29 billion in 2016. Experts predict that it will grow at an annual rate of around 8 percent through 2022. WACKER can now serve the sports nutrition market with two products for supplements that contain highly effective ingredients: CAVAQ10®, a coenzyme-Q10-gamma-cyclodextrin complex, and CAVACURMIN®, a curcumin-gamma-cyclodextrin formulation. Published human clinical trials have confirmed the benefits of the active ingredients. 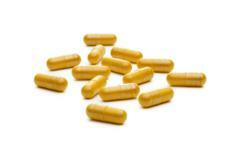 Curcumin is an extract from turmeric, while coenzyme Q10 is a vitamin-like molecule. Trials show, for example, that ingestion may reduce the extent of exercise-induced muscle damage. Moreover, curcumin is an antioxidant that can be capable of lowering inflammatory markers after exercise and of delaying the onset of sore muscles. Muscular regeneration, too, might be enhanced by ingesting curcumin. The bioavailability of curcumin complexed with gamma-cyclodextrins is 40-times that of the pure extract obtained from turmeric. Curcumin, which is fat-soluble, is encapsulated by the water-soluble gamma-cyclodextrin, yielding a complex that forms a molecular dispersion in water. The human body is then able to absorb the curcumin much more readily. CAVACURMIN® is a free-flowing, dispersible powder. It can be processed not only to dry or powdered dietary supplements, such as tablets, capsules and energy bars, but also to functional beverages. Coenzyme Q10 is a vitamin-like molecule, which, unlike the plant extract curcumin, is present in every human cell, where its function is to efficiently transform ingested food into energy. There are a number of positive reasons to introduce CAVAQ10® into dietary supplements into the human body. Studies have linked the ingestion of coenzyme Q10 with enhanced performance and delayed onset of fatigue. Like curcumin, coenzyme Q10 is only sparingly soluble in water – and thus not readily bioavailable. However, that can be remedied by adopting the same strategy. Complexation with cyclodextrin not only enhances the stability of the sensitive substances, but also markedly improves absorption by the body. A human clinical trial by WACKER partner Cyclochem in Japan showed that coenzyme-Q10-gamma-cyclodextrin complexes may protect muscle cells by functioning as free-radical scavengers and antioxidants. The evidence for this took the form of reduced levels of biomarkers in the blood after administration. Normally, these markers are increased as a result of tissue damage. In CAVAQ10®, WACKER offers a powder-form coenzyme Q10 that has roughly 18-times the bioavailability of conventional formulations. Visit WACKER at SupplySide West 2018, Booth 2328.